This new infographic from Reuven Gorsht shows that the retail marketing industry is becoming more competitive and changing at an ever-increasing pace. Tech-savvy consumers and shifting demographics require that the companies quickly modify existent strategy and tools, to meet the demands of future customers in order to be successful and foster greater customer loyalty. 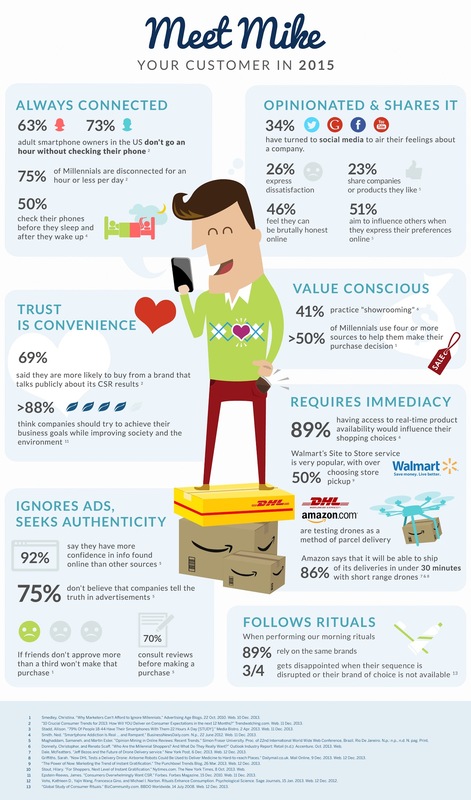 Your 2015's customers will seek for authenticity and ignore ads, 3 every out of 4 people don't believe that brands tell the truth in online ads while nearly 9 in 10 report having more confidence in the information found online than other sources. Consumers will always remain socially connected, 73 percent male smartphone owners don't go an hour without checking their mobile. 34 percent consumer says they turned to social networking sites to air their feelings about a brand, while 23 percent people share a product to their profile they like. 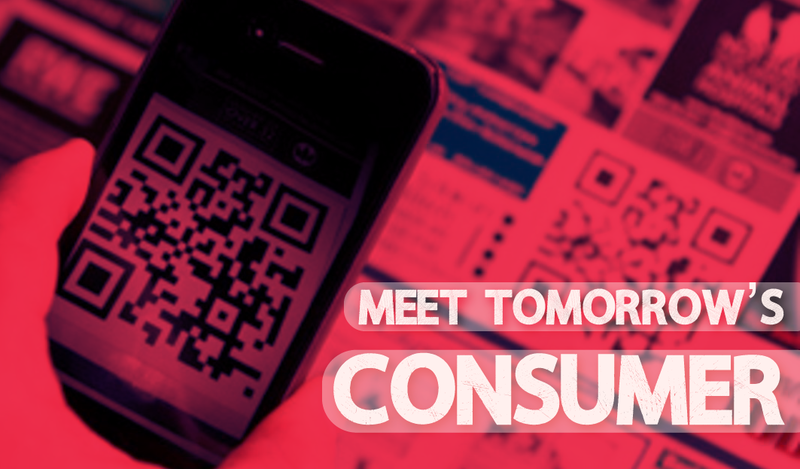 Take a look at this infographic to meet your tomorrow's consumer. Top Image courtesy of: iStockphoto.